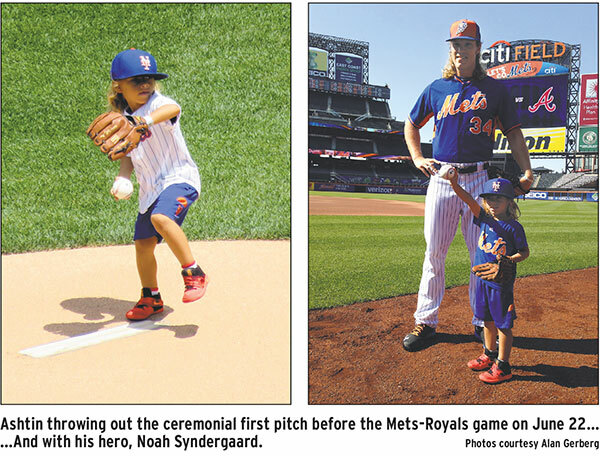 Five-year-old Ashtin Gerberg, aka, “Mini Thor,” became perhaps the youngest person to throw out a ceremonial first pitch when he took the mound before the game between the NY Mets and the Kansas City Royals on June 22 at Citi Field in Queens. 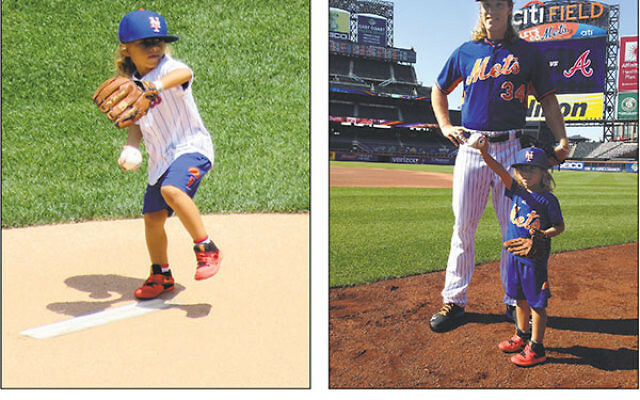 Ashtin, a pint-size doppelganger of Mets star pitcher Noah Syndergaard, has been playing ball since he was 18-months-old. He became a viral sensation as his father, Aaron, would post videos of the kid firing them in in the driveway after starts by Syndergaard. The Mets caught wind of this and invited Ashtin and his family — based in Leland, NC — to meet Syndergaard prior to the game. Visit tinyurl.com/hy22vff to watch the proceedings. At the Copa: Colombia’s national soccer team finished third in the prestigious Copa America Centenario tournament led by its Jewish coach, Jose Pekerman. Colombia defeated the United States, 1-0, on June 25 in the bronze medal match at University of Phoenix Stadium. Sixteen countries competed in the centennial edition of the tournament, which ended June 26 with Chile beating Argentina in the title match. A former midfielder with the Argentine national team, Pekerman took over as Colombia’s coach in January. Pekerman, whose grandparents came from Ukraine, lived in the Buenos Aires Jewish neighborhood of Villa Crespo. See it now: The on-line Jewish Baseball Museum currently features an interview with Pulitzer-Prize winning author Ira Berkow who discusses his relationships with three of the most fascinating Jewish players of all time: Hank Greenberg, Sandy Koufax, and the inscrutable Moe Berg. You can view it at tinyurl.com/JBMBerkow. Sources: Minneapolis Star Tribune, MLB.com, JTA, Jewishbaseballmuseum.com.